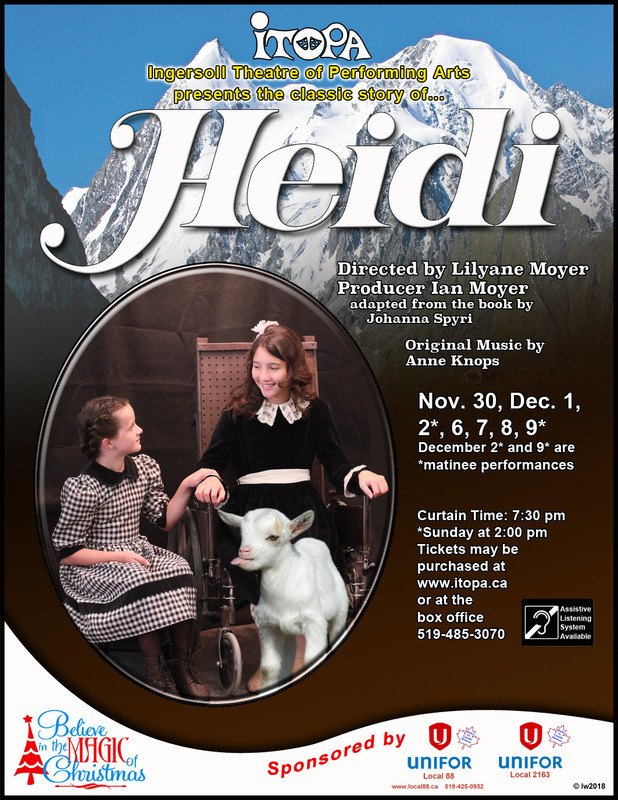 Heidi is a little orphan girl who is dumped at her Grandfather’s cabin in the Swiss Alps. Despite his reputation as a miserable, embittered recluse, he grows to love her engaging ways. But soon, Heidi is taken away by her self-serving Aunt in order to become a companion to an invalid child. Will she ever return to her loving Grandfather and the people of the Alps?